Wow, you guys really blew me away with all of the letters to grief you wrote and linked up last month! Thank you to all who participated! I was so humbled by your willingness to bare the hidden corners of your souls. Grief is a raw and difficult subject to address, and you did it with such poise and grace. What I loved just as much as your posts were the strings of comments I found at each site I clicked on. It was such a joy to see so many of you pouring encouragement and condolences on one another. Thank you to all who made the effort to read and bless others by leaving comments. I read and re-read your beautiful words, and even put together a post compiling some of my favorite quotes from your submissions. Stay tuned or subscribe in the sidebar and keep your eye out for that compilation to be published soon. Today, you’re in for a real treat. 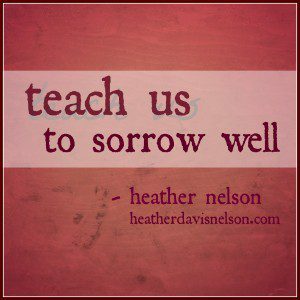 I’m thrilled to welcome Heather Davis Nelson from Hidden Glory with her very own letter to grief. 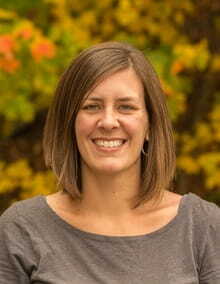 Heather Davis Nelson, M.A., is a writer, counselor, and retreat speaker, regularly blogging at heatherdavisnelson.com. 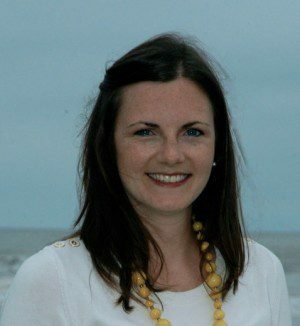 She has been a featured writer at The Gospel Coalition, with articles on body image, mentoring, and When Father’s Day Hurts (June 2014) as well as a contributing author to the Journal of Biblical Counseling. She and her husband, Seth, and their fraternal twin daughters live in southeastern Virginia where he is a pastor, and she is a counselor. She studied at Wheaton College (B.A.) and Westminster Theological Seminary (M.A.). She loves coffee, reading, front porch conversations, the beach, and story time with her daughters. Through over eight years of counseling, she has walked alongside many through questions of faith, anxiety and depression, relational conflict, grief, and discovering identity and calling. She is passionate about connecting the hope of a Redeemer to the broken fissures of life. Thank you, Heather, for sharing these poignant words with us. May they be used to the glory of God. You have claimed many friends in 2014, and I have been touched by you as well. The worst part is that the church has too often refused to own you as she should. She has proclaimed a gospel of health and wealth instead of the message of the Man of Sorrows acquainted with grief who promised suffering for all who take up their cross to follow Him. And in those moments when the people of God feel like they have no refuge, you cackle and seem to win. You whisper lies, saying that there is no hope, and that God is as distant as the well-meaning friends who disappear after an initial rally of support. I saw you tragically enter stage left on a late night in May when the Rodriguez family lost their 17-year-old son and brother, and the Jones family lost their police-officer-husband and young father to a madman’s random fire on the streets of Norfolk, Virginia. You descended like a sudden summer thunderstorm on an otherwise ordinary Wednesday afternoon when a desperate mother decided to end her life and that of her 8-year-old daughter, leaving our entire church community gasping for breath as we suffered under your shadow. You came in waves of tears to the surviving father/husband and daughter/sister, and I know they still feel your touch. You linger in Manayunk, a suburb of Philadelphia, haunting the friends and family of Shane Montgomery, a college student who went missing on Thanksgiving Eve. After over a month of searching and hoping and waiting, they found him in a river – and in the finding, there are more questions than answers. You have been the unwelcome Advent guest to a close friend and her family as the sudden heart-attack death of her beloved mother sinks in alongside the Christmas carols and festivities. Your problem is that you cannot be predicted nor defined. You come as a unique visitor to each of us, rarely on time and often in disguise. You hide yourself in many forms, putting on a mask of anger to make us feel strong instead of weak. Sometimes you sink deeply into the soul, bringing depression and despair that seems impossible to escape. If left unchecked, you can cause me to live entirely on the surface of life in order not to look within and acknowledge your presence there. Jesus Christ knows you better than any of us. He is “the man of sorrows, well acquainted with grief” (Isaiah 53:3). He bore the weight of what grieves God on the cross and conquered it fully in His resurrection. He took away the sting of death – sin – saying that you, Grief, no longer have the last word. Hope takes away your bitterness, leaving us a cleansing sorrow in its wake. Hope allows us to acknowledge you without surrendering fully to you. Hope frees us to look you in the eyes as you enter our hearts and communities, and to weep freely with those who sorrow. We the Redeemed can meet you without despair; acknowledge you without empty clichés; join with others who dwell in your shadow without demanding answers or reasons. So come, dear grief, teach us to sorrow well because of the hope of a risen Savior who will make all things new and eradicate your presence from our broken world entirely when He returns again. You will not own us, though you may visit us more frequently than we would choose. We will not turn away from your presence in our own lives or those of our friends and family. And thus we strip you of your power to isolate, turning your presence into a sign of longing and an invitation to draw nearer to those suffering in your wake. Thanks again, Heather, for sharing these powerful words in the Letters to Grief link-up. To read more letters to grief, click here. 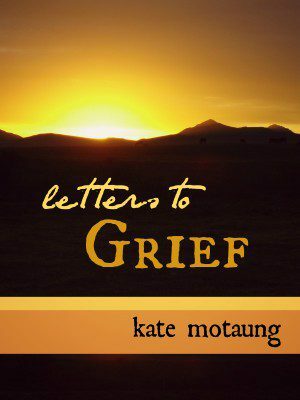 To download the e-book, Letters to Grief, for just $0.99, click here.